Beautiful Victorian Gingerbread Cottage with Water View. This cottage has 3 1/2 bedrooms and will sleep 8 (2 queen beds, 1 double, 1 twin and a double sleep sofa in living room) Bathroom equipped with washer and dryer. 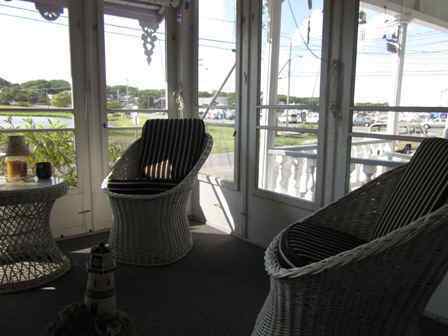 Cottage comes with 2 parking spaces and a mooring in Oak Bluffs Harbor is available for an additional fee. Cable, DVD/VCR in living room and downstairs master as well as internet access. 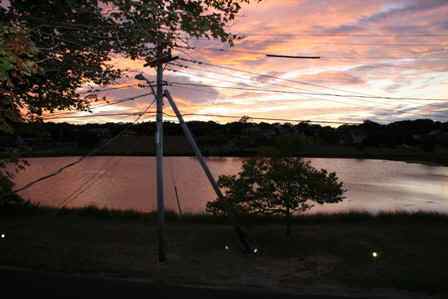 Full screened in front porch overlooking Sunset Lake and Oak Bluffs Harbor and a bbq in the backyard. Air conditioned downstairs master bedroom and fully heated for the cooler days. Walk to all restaurants and beaches in Oak Bluffs. No pets and a $250 refundable security deposit is required. Must provide own linens. $1,500 a week in May, September and October. $2,500 for GRAND ILLUMINATION week. $2,000 for weekly rentals in August. Will also consider long weekend rentals for a reduced rate in May, September and October, please call for availability. Contact Craig at 843-441-1377 or [email protected].